Alcohol plays a part in many of our lives, yet it’s surprising how little people know about its contents. Apart from medicines alcohol is the world’s most widely used drug, a glass of wine with dinner, a beer after work, a cocktail in the sunshine on holiday. 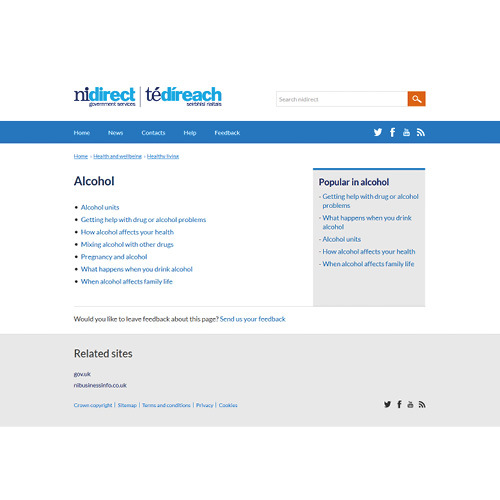 Alcohol makes an appearance in so many parts of our lives; it can be easy to forget that, like many drugs, it’s addictive, both physically and psychologically..
A to Z list of substances explains appearance and use, effects, chances of getting hooked, health risks and UK law. 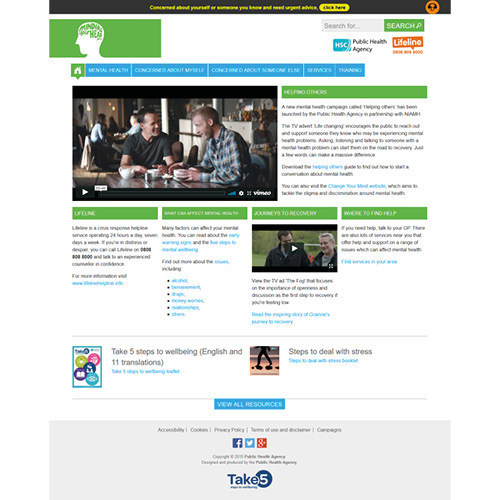 Includes information on peer pressure and more. Your mental health is important. It helps you to feel good about yourself and cope well with the everyday pressures of life. If you’re feeling low, it helps to talk to someone you trust, eg, a friend or family doctor. Talking is the first step in the recovery process and with appropriate help, people who have experienced feelings of anxiety or despair. 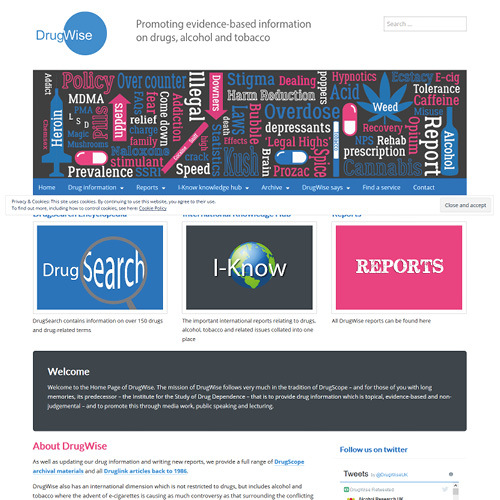 The mission of DrugWise follows very much in the tradition of DrugScope – and for those of you with long memories, its predecessor – the Institute for the Study of Drug Dependence – to provide drug information which is topical, evidence-based and non-judgemental – and to promote this through media work, public speaking and lecturing. Alcohol has become a normal and accepted part of life, but the amount of alcohol you can drink in a day without risking your health is less than you might think. Drinkers often cram their drinking into a few sessions, usually on a weekend. However, this way of drinking can not only harm their health, but also put their personal safety and that of others at risk. It can also impact on relationships with family, friends and more. 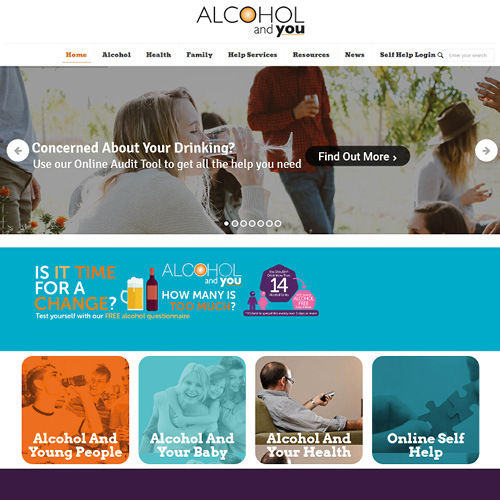 “Drink work & me aims to raise awareness of the impact of alcohol by offering information and support to you and your family”. 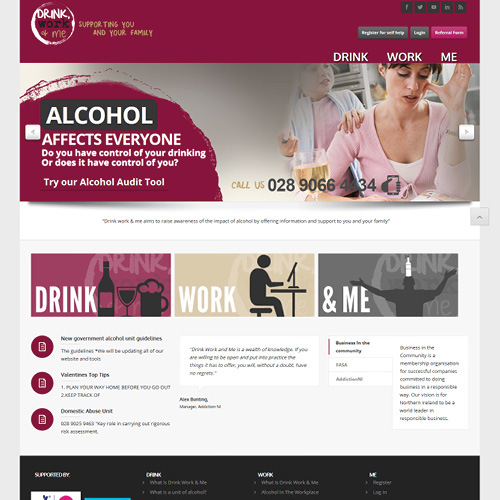 It is the Drink, Work and Me vision that every employee working in Northern Ireland will have insight into the impact of alcohol, and the supports available to reduce alcohol related harm. We hope to achieve our aim through a programme of education, training and treatment.